The international community finally realized that the Ethiopian government was using democracy as a facade to dehumanize its citizens. Since the current government of Ethiopia came to power in 1991, six international treaties have been signed and ratified by the government, including the Convention against Torture and Other Cruel, Inhuman or Degrading Treatment or Punishment – at which the Ethiopian government’s security is mostly accused more than any dictator country in the world. This means, from a total of thirteen international treaties, Ethiopia had ratified eight, out of which two were signed during the Military Derg era. It has not been easy for the international community to accept that a country, such as Ethiopia – which signed and ratified a number of international human rights treaties – has the moral to breach the norms of each treaty and commits massacres against its citizens. The ingenuity of the Ethiopian government has become to be known to the international community very lately, beginning from the land-grab-related human rights violations of the 2010’s in Gambela, Oromia, Benishangul – as reported by human rights organizations, such as HRW, AI and HRLHA and the Oakland Institute … thanks to the outcry of national, regional and international human rights organizations to expose the hidden agenda of the Ethiopian government. Though, reports on Ethiopia’s human rights violations spread all over, Ethiopia was elected as a member of the United Nations Human Rights Council in 2011 for a three-year term. After the completion of the first three-year term, it was also reelected on October 28, 2015 for another three-year term. To be legible for the election, the candidate State’s contributions to the promotion and protection of human rights are considered. The current Ethiopian government began destabilizing the nations and nationalities in the country as it seized power in 1991. The two biggest nations, the Oromo and the Amhara – were the most targeted. Over the course of the first twenty-three years (1991-2014), hundreds of thousands of prominent citizens, political party leaders, members and supporters, journalists, union leaders and members have been killed, forced to disappear, imprisoned and forced to exile. The undisclosed tragedy in the country for so long has started to attract the international attention only in March 2014 when Oromo university students protested against the “Addis Ababa Integrated Master Plan” – which had continually taken place for over four months at which Oromos of all walks of life participated. During the crackdowns on the protests, over 81 Oromos of age 7-81 had been brutally murdered by Ethiopian government’s murderers. 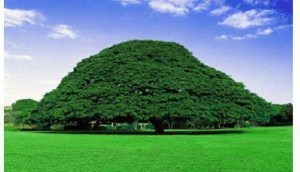 The so-called “Addis Ababa Master Plan” was designed to annex 36 Oromo towns evicting an estimated of over three-million Oromo farmers without consultation and compensation. The “Addis Ababa Integrated Master Plan” dispute reignited in November 2015 throughout Oromia and lasted for almost a year until the October 2, 2016 massacre – the incident which changed the peaceful protests to violent. During the protests – which had taken place for almost a year (November 2015 – October 2016) in Oromia Regional State, over 2000 Oromos had been killed by the Ethiopian government’s killing squad known as the Agazi force. October 2, 2016 was the Oromo Irreecha/Thanksgiving day in which over four-million Oromos had come to gather from all corners of the Oromia Regional State to celebrate at Bishoftu where the government’s Agazi killing squad massacred peaceful people – at which over 700 people were killed through stampede and gunshots from the ground – and supported by air attack. October 2, 2016 was the game changer in the history of the Oromo struggle for self-determination, democracy and justice. The peaceful protest was changed into violent all over the Oromia Regional State. Several government-owned and government-linked properties were destroyed. The Prime Minister of Ethiopia Hailemariam Dessalegn gave a permission to its killers – deployed all over the Oromia Regional State – to take all necessary actions against the uprising, and several thousand Oromos were killed, imprisoned and forcefully disappeared. To calm down the violent actions in the region, the government of Ethiopia declared a State of Emergency on October 8, 2016. After the State of Emergency was declared, many expected the situation could improve. However, the government’s killing squads deployed deep into Oromia villages used the opportunity to kill more Oromos at their homes, at their neighborhoods during day and night times, raped women and girls in front of their families, and looted valuable properties. (2) On November 6, 2016 at 5:00am, three brothers – Marabu Jamalo, Abdissa Jamalo and Tola Jamalo – were shot dead by the TPLF killing squad (Agazi force) in their home in Easter Arsi Zone in Shirka district. Their father Mr. Jamalo Hussein said “my children have been killed by the fascist government killing squad, Agazi, not because they stole or did anything wrong, but only because they are Oromos ” – told to HRLHA reporter in the area. Ethiopia, a country with high human rights violations – has been allowed to be elected to both the United Nations Human Rights Council and United Nations Security Council positions, the positions which require respect/protect and promote human rights at the global level, and maintain international peace and security, develop friendly relations among nations and cooperate in solving international problems and in promoting respect for human rights. However, the Ethiopian government has rejected the call of the international community for independent investigations into Ethiopia human rights crises in the past two years. The Chair of the European Parliament’s Subcommittee on Human Rights (DROI), Elena Valenciano (S&D, ES), who visited Ethiopia recently also released a statement calling for an independent investigation into 2 October 2016 killings that claimed the lives of at least 52 people, according to the government media, or over 700 people, according to HRLHA and other reports. However, the Ethiopian Prime Minister Hailemariam Dessalegn again rejected the call for external investigations by saying “Ethiopia’s sovereignty should be respected,” according the BBC report on April 18, 2016. PM Hailemariam pointed out that the Ethiopia’s Human Rights Commission is an independent institution in the country with whom his government must relay and could be strengthened. He clearly underlined his government’s position for peace, democracy and fundamental rights of the Ethiopians. In his interview with BBC, the PM of Ethiopia said “Ethiopia does not need independent investigator as far as Ethiopia is an independent country.” The government of Ethiopia is committed to continue suppressing all kinds of freedom and democracy in the country. It is unfortunate that Ethiopians could not detach themselves from dictatorial regimes for over a century, “History repeats itself,” again and again. 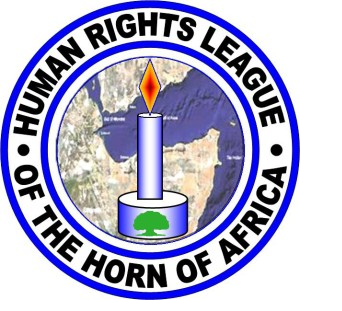 Therefore, the HRLHA would like to call upon donor governments and international government agencies to take all necessary and decisive measures against the Ethiopian government to respect international human rights and humanitarian laws, and all human rights treats it signed and ratified.